cdcindonesia.com - The morning spirit of all job seekers, the following information about job vacancies in the field of fmcg, namely:PT Coca-Cola Amatil Indonesia - CCAI or known as "Coca-Cola Amatil Indonesia" is a well-established foreign investment company in Indonesia that is involved in food and beverages industry. 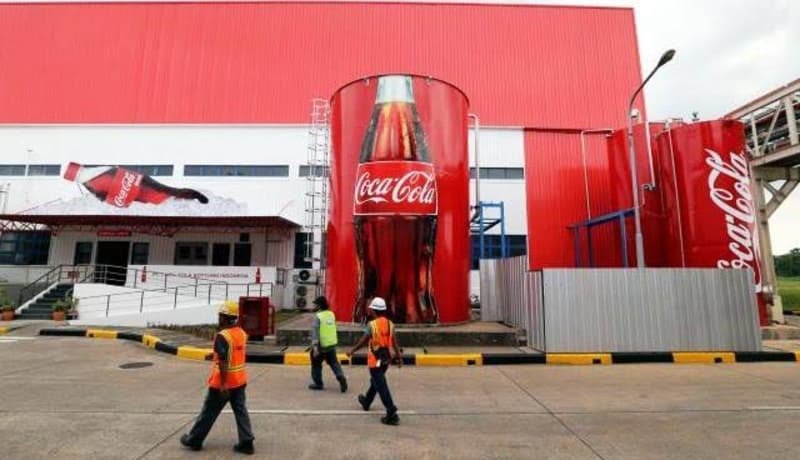 CCAI operates primarily a producer and distributor of the Coca-Cola products for all over Indonesia, except for the North Sulawesi Region which is served by PT Bangun Wenang Beverages Company. PT Coca-Cola Amatil Indonesia is a local member of Australian beverages giant Coca-Cola Amatil Limited (ASX : CCA). CCAI also supported by 3 Regional Distribution Centres (RDC), located in Medan North Sumatera, Cibitung Bekasi West Java and Semarang Central Java. Education background in Bachelor’s (S1) or Master’s (S2) degree with a minimum GPA of 3.00. Fresh graduate or have a 1-year working experience. Fluent in English (able to speak and write fluently in English). Can ride a motorcycle and car (Sales only).